In the software world, the line between legitimacy and malignancy can be too thin to notice. There are applications that actually do most of what they claim, but their developers’ distribution methods are far from being white hat. The program called Speedup PC 2018 is in this gray area. It is a system optimizer that’s making the rounds in a questionably ethical fashion. What is the Speedup PC 2018 virus? The Speedup PC 2018 utility is marketed as a Windows tune-up toolkit but has got some controversy under the hood of its activity. The features it claims to accommodate are generally useful, indeed. They include registry cleanup, startup management and add-on removal, the things that can potentially enhance system performance by an appreciable degree. With that said, there is quite a bit of negative feedback regarding the solution under scrutiny. It doesn’t have to do with lack of optimization power or similar – instead, people have been complaining of aggressive malvertising tactics leveraged by the program. 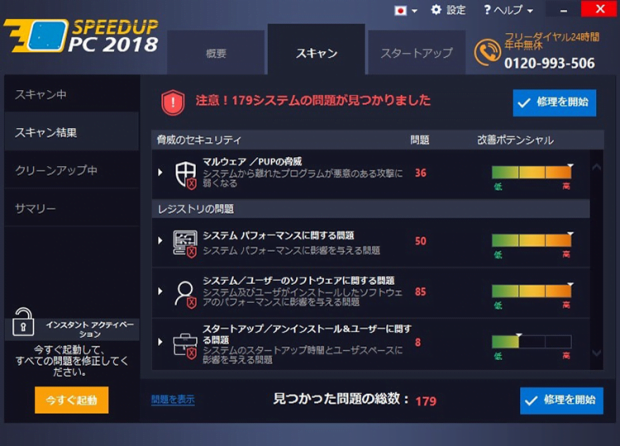 The most massive promotion campaign of this sort is currently underway in Japan, where local users are being bombarded by obnoxious warnings from Speedup PC 2018. The hoax commences with a browser redirect to a landing page pushing the rogue optimization software. This divert can be triggered by an obfuscated script running on a malicious or compromised website. When on the above-mentioned page, the user bumps into a rather persuasive recommendation to download and install Speedup PC 2018 in order to fix some ‘critical’ system stability issues. If the unsuspecting would-be victim ends up opting for the offer, the PUP (potentially unwanted program) will be installed and will continue its brainwashing while running on the machine. The culprit is usually accompanied by a bundle, an app called Driver Updater. In fact, the two operate in tandem, each in its own way. Speedup PC 2018 will run, or pretend to run, a scan in search for performance problems. No matter how clean and healthy the computer is, the scareware will definitely report a bevy of issues, such as broken registry entries, redundant startup items and obtrusive browser extensions with adware hallmarks. Driver Updater, in its turn, will most likely display alerts regarding out-of-date hardware drivers and recommend an automatic fix. At the end of the day, the repair options suggested by the perpetrating tool will lead to another landing page that instructs the victim to purchase the license for the pseudo cleanup tool. The price is somewhere around $30. To recap, even if Speedup PC 2018 does have some system optimization power in its portfolio, the disgusting promotion techniques make it just about as nasty as garden-variety adware or fake Windows maintenance software. 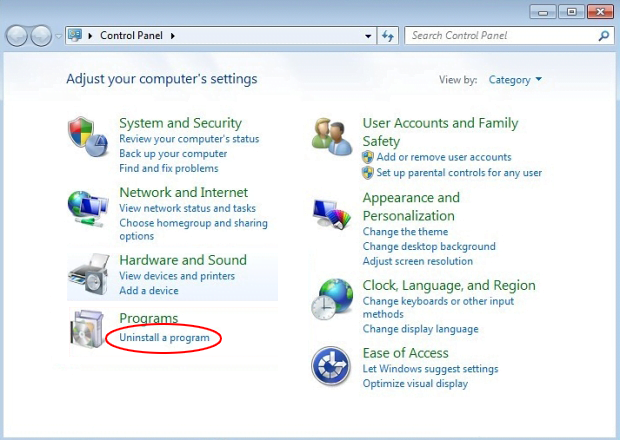 The tips below will walk you through the procedure of uninstalling it. The extermination of Speedup PC 2018 can be efficiently accomplished with reliable security software. Sticking to the automatic cleanup technique ensures that all components of the infection get thoroughly wiped out from your system. 2. The scan will come up with a list of detected items. Click Fix Threats to get the adware removed from your system. Completing this phase of the cleanup process is most likely to lead to complete eradication of the infection. However, it might be a good idea to consider ascertaining the malware is gone for good. No ratings yet.